On the left of the main window is a folder and thumbnail display allowing you to rapidly locate your desired images. 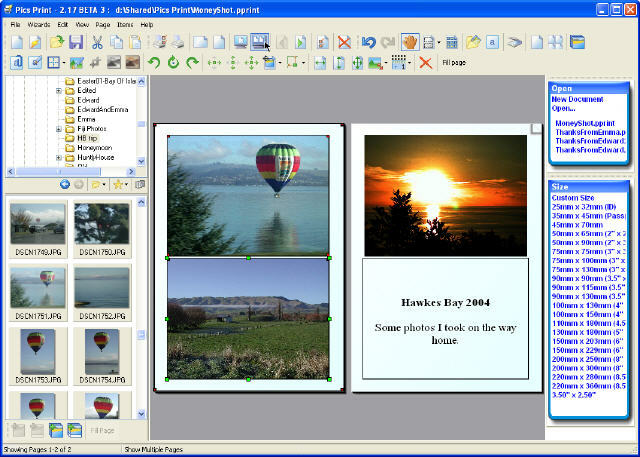 In the middle, the print preview and editing area allows you to lay out the pages as you want them to be printed. On the right, the sidebar contains common actions.